Of these Saints, Olympas and Rodion became disciples of Peter, the chief Apostle, and came to Rome, where they were beheaded by Nero. The others reposed in peace, having become bishops: Sosipater of Iconium, Quartus of Beirut, and Erastus of Paneas, or Paneias (which was also called Caesarea of Philippi); Saint Erastus had been chamberlain of the city of Corinth (Rom.16:23). 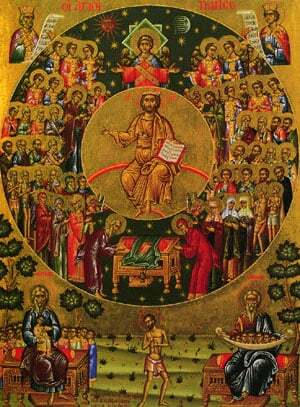 Share the feast of Erastus, Olympas, Rodion, Sosipater, Quartus, and Tertios, Apostles of the 70 with an icon greeting ecard.